Skinny-fat: it sounds like an oxymoron, doesn’t it? Well, it’s not. It’s a real epidemic that medically describes a metabolically obese, yet normal weight person. 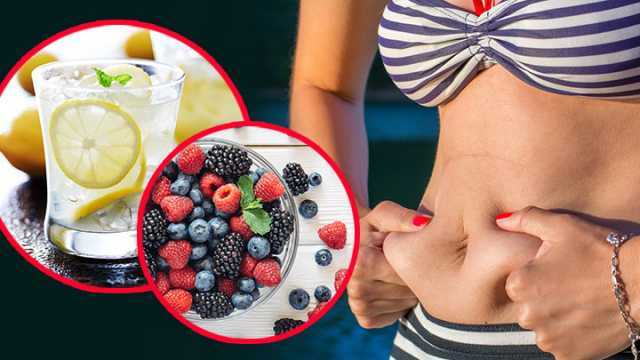 It’s a phrase used to describe someone who looks fit and healthy on the outside, but due to a lack of exercise or poor diet, has a bevy of health problems brewing on the inside. If this describes you, then it’s time to change your game. Do Americans put too much emphasis on weight? Yes, obesity is a serious epidemic in America. And most recognize that being overweight and obese sets you up for some major health risks like diabetes, cardiovascular diseases and even cancer. Yet, simply because you have a speedy metabolism or inherent genes that keep your physique svelte, it doesn’t mean you’re naturally immune to diseases. Okay, it may be hard to hear this, but you could be harboring the same potentially deadly health risks as an obese person — high blood pressure, high cholesterol and high blood sugar. And as it turns out, you could actually be worse off than your overweight friend, who’s obese despite exercising and watching what she eats. A study published in the European Heart Journal, found that overweight people had no more risk of developing or dying from heart disease or cancer than normal weight people — providing they were metabolically fit despite their excess weight. In fact, another study from the University of Michigan reveals that about one-quarter of U.S. adults with normal weight have some form of cardiovascular disease, including high blood pressure or cholesterol. 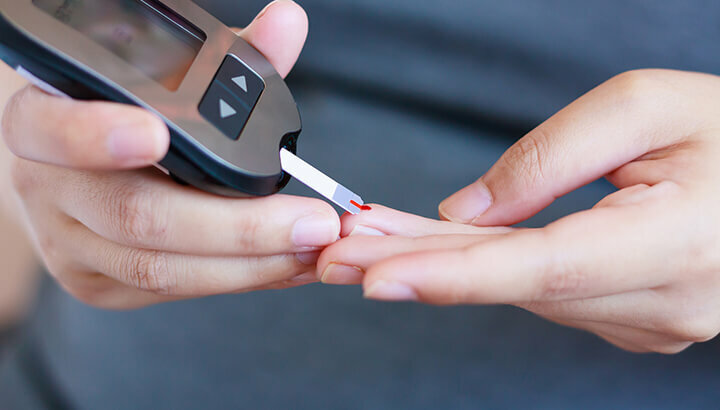 A blood sugar test can can help screen for the skinny-fat condition. You may look great in your bathing suit and have a normal BMI (a measure of body fat based on height and weight), so how do you know if you’re skinny-fat? Well, having your blood pressure, cholesterol and blood sugar levels checked is a start. These tests are really the only way to know for sure how healthy you are metabolically. A study published in the Journal of the American Medical Association found nearly one in four thin people have prediabetes and are “metabolically obese.” That means 25 percent of the population fits the skinny-fat model. But you have to be proactive in your own health. If you are normal weight, your doctor may not necessarily conduct blood tests or otherwise acknowledge underlying issues. He or she might assume you’re normal rather than checking for prediabetes and other obesity-related diseases. And that’s unfortunate, suggests Dr. Hyman for EcoWatch. “Because if you are a skinny-fat person and get diagnosed with diabetes, you have twice the risk of death than if you are overweight when diagnosed with diabetes.” Thin people who have prediabetes and high sugar also increase their risk for heart disease and even early death. Skinny-fat people also tend to have low muscle mass and a little more flab, usually from lack of exercise or because of dieting without enough protein to maintain muscle. While you may argue that your BMI is perfect, a study published in Annals of Internal Medicine says differently. It seems that a person with a perfect BMI, who also has fat around their middle, is at greater risk for mortality than someone who is overweight or obese with regular fat distributions. If you are skinny-fat, you may have visceral fat around major organs. Visceral fat is not the kind of fat that you can grasp with your hand. Visceral fat is out of reach, deep within the abdominal cavity, according to Harvard Health. In other words, it’s fat that’s stored further underneath the skin than “subcutaneous” belly fat. It’s a form of gel-like fat that wraps around major organs, including the liver, pancreas and kidneys. What makes visceral fat particularly scary is that it has been linked to metabolic syndrome, increased risk for cardiovascular disease and type 2 diabetes. Visceral fat is also directly connected to higher total cholesterol and LDL (“bad”) cholesterol and lower HDL (“good”) cholesterol. In women, it may also link to breast cancer and the need for gallbladder surgery. And it’s not only a large, bulging belly that hides visceral fat beneath the surface. Yes, it can be more noticeable in obese individuals. But, truthfully, anyone can have visceral fat — and you may not even know it. Eating a diet high in sugar and processed foods causes visceral fat storage, suggests Dr. Hyman, author of “The Blood Sugar Solution 10-Day Detox Diet.” Just because you’re not heavy doesn’t mean your organs aren’t coated with visceral fat. The good news is there is there is a lot you can do to rid yourself of this potentially deadly (often unnoticed) fat. Begin by combating that fat through regular moderate-intensity physical activity for at least 30 minutes per day, suggests Harvard Health. Exercising with weights may also help fight abdominal fat. But, don’t focus your routine around spot exercising, like sit-ups. While they can tighten abdominal muscles, they won’t get rid of visceral fat. Diet is also important. Pay attention to portion sizes and stick with complex carbohydrates like fruits, vegetables and whole grains. Consume lean protein over simple carbohydrates such as white bread, refined-grain pasta and sugary drinks. And, when it comes to fats, replace saturated fats and trans fats with healthier polyunsaturated fats like avocado and coconut oil. Keep in mind, your doctor is the best person to screen you for high blood pressure, high sugar and high cholesterol. If something looks off, they can also screen for C-reactive proteins, which are indicators for inflammation. High inflammation levels are behind most diseases that afflict Americans. So, if you think you might be skinny-fat, then talk to your doctor. And don’t let your “skinny genes” fool you.